Other aspects of the workman’s employment also help to gain insight into his societal position. One did not grieve a work assignment, one accepted it. One did not complain about an unsafe condition, one tried to avoid it. And most certainly, one did not demand a wage increase, one hoped for it. To complain about such conditions was considered rebellious and unforgivable behavior, to join a group protesting conditions was another way of saying “I’m about to look for another job.” To actually lead a protest effort was considered akin to armed assault. Those who did, seldom heard the five o’clock whistle blow. And so it went. They went about setting up their own unions; nice, wholesome, company dominated, and of course, tame organizations, that at least gave an illusion of independence, and it worked for a while. But even the dullest began to get suspicious when monthly union meetings were held in the company Board of Directors room. Even more destructive to their clever plan was that many people were far from dull and began to recognize these early set-ups as raw material out of which could be fashioned real representative organizations. Also about this time, the government saw how silly this all was becoming and said “Come on fellas, pick a side; you’re either management or you’re not!” And with that we said “Goodbye” to company unions (at least formally). 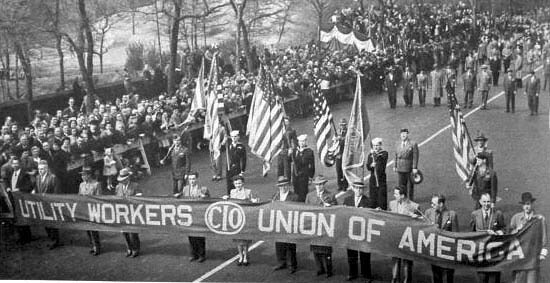 In early 1940, a massive work jurisdiction dispute erupted on the ConEd property when the IBEW insisted that stranger “A” members be brought in to do work normally assigned to ConEd workers. The membership was furious, but the IBEW didn’t care. What to do? They went on strike and with this action the IBEW gobbled up their treasury. This was the last straw and the seven “B” locals threw the IBEW out. They demanded of the National Labor Relations Board that an election be held. Shortly before the election, the IBEW withdrew from the ballot leaving this now independent group to vie with a “no union” vote. They won overwhelmingly and declaring themselves the “Brotherhood of Consolidated Edison Employees” (BCEE) reformed along the original seven chartered lines. However, they also formed a “Council of Twenty-one” to which three members from each of the seven chartered groups were to participate. Shortly thereafter, Locals 1 and 2 decided to merge and, wishing to preserve their founding identities, called themselves Local 1-2. Thus, in a relatively short time the employees broke away from the IBEW and became members of a new independent organization known as the Brotherhood of Consolidated Edison Employees, which they formed into six chartered groups with representation on an overseeing council. The first officers of this council were Joseph Fisher, Chairman; William Pachler, Secretary; and Clem Lewis, Treasurer. This council operated as a central body handling membership problems and negotiating contracts. With subsequent company mergers, the union continued to respond by reorganizing to maximize its representation ability until ultimately Local 1-2 came to represent all the union employees at ConEd. In the meantime, the CIO approached the Brotherhood in 1945 with an offer to combine forces with the UWOC and create a new, large, and powerful body in the CIO. In addition, a number of other independents with a relationship to the Brotherhood were expected to come along into this relationship. At this point we shall leave the new flourishing Brotherhood to which we shall return later. In Pennsylvania things were far less complex. 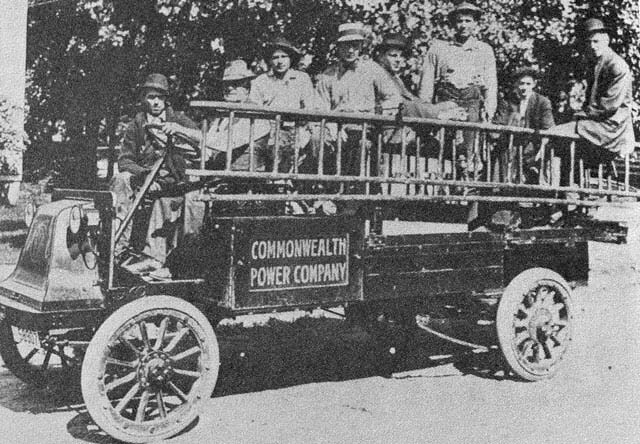 A number of employees of the West Penn Power Company felt the tug of the tide of unionism that was washing across the United States during this period and, by mid-1936, a group of employees consisting of Reginald Brown, Glenn (Whitey) Sevick, Merrill Vivian, Carl Oscar, Lawrence Ferguson, and George Bordell, began efforts in earnest to organize the Pennsylvania Power Station of the West Penn Power Company. Their job was so well done that the company needed no proof of interest and the local was established as the bargaining agent by early 1937. Immediately affiliating with the UWOC, chartered in as Local 102, they signed their first contract with the company on April 10 of that year, which became effective on the first of May. The first president of this new local was Reggie Brown, who as we know, went from there to an organizing job with the UWOC, and retired after years of active unionism as vice president of the National Utility Workers Union. In 1942, the local expanded to include the “Ridgeway” and Connellsville Power Stations. Finally, in 1944 with one giant step, the union took over the representation chores of all the physical employees of the West Penn Power Company. Boston Edison: In the 1930’s and even into the 1940’s, Boston Edison Company was hostile to the growth of labor unions. The company was powerful and influential, and had close ties to the New England banking and insurance establishments. Thus, they were tough enough to exercise this hostility; they did. They did their level best to keep unions off the property. But as it always happens, along came someone, smarter and tougher. It was a new breed of unionist, this time armed with the rights given him by the National Recovery Act. The management, innovative fellows that they were, cast about looking for a way to prevent real unionism from taking hold, and they found a loophole in the Act that enabled them to establish – a bright new idea – a company union. They called it “The Boston Edison Employees Representation Plan.” Now where have we heard this before? But let’s give them a little credit, they called their committee, “Committee 86.” The number 86 meant 43 of them, 43 of us. Converted to the practical, it meant absolute veto power by the company. The employee representatives did the best they could but were confined to dealing with the mundane and unimportant. When Congress shot the Wagner Act arrow, it pierced, among others, “Committee 86.” Out hissed the air and in its place on July 27, 1937, the employees elected a true representative, “The United Brotherhood of Edison Workers.” The only thing they saved from the defunct “Committee 86” was the use of delegates to represent the members. The Brotherhood used 34 delegates, apportioned roughly to equal one delegate per 100 members. The first contract they negotiated consisted of only nine pages and restricted arbitration to disputes involving discharges or wages. For many reasons, the reign of this new union was not auspicious. Wages remained low and lagged glaringly behind defense plant pay. Benefit packages were not as full as expected and, in addition, were subject to company change or termination without protest. Union divisiveness resulting from tensions between the city and suburban workers began to grow. In general, the union was not delivering to the membership that which they had come to expect. Clearly, the union had its faults, not the least of which was lack of aggressiveness and experience, characteristics that could have been provided by a CIO affiliation. But the Brotherhood was not yet ready to affiliate. They did toy briefly with an IBEW (AFL) affiliation, but the paucity of the AFL contracts compared with those of the Utility Workers prevented consummation. T hroughout this period, however, enthusiasm for UWUA affiliation was growing. In its first election attempt in 1943, the UWUA won 41 percent of the vote. They tried again in 1944 and increased their holding to 45 percent, and once again in 1948, scoring 47 percent for the UWUA. The 1948 vote was interesting in that many believe it would have been the winner had not the NLRB disqualified the Meter Readers (a very pro-UWUA group) by ruling them out of the production and maintenance bargaining unit. Finally, in 1949 the Brotherhood fizzled out. After an eight-month delay, they had gotten the members a three percent pay hike, hardly what the membership was expecting. The Brotherhood offered a number of reasons for the delay and the disappointing end result, but the membership had had enough, and the excuses didn’t work, as we shall see. The following year, the UWUA tried again. Harold Rigley, then UWUA organizer, with the help of William Davis, led the effort. This time it was different. On June 21, 1950, as the last few ballots remained to be counted, it was looking good. And it was. The final tally showed that 54 percent of the production and maintenance employees wanted the UWUA. 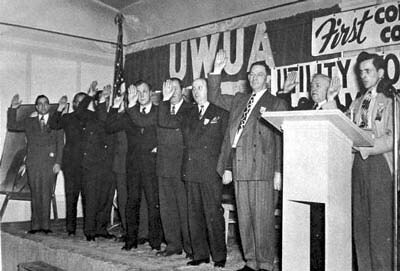 The production and maintenance workers held their first UWUA membership meeting on July 5, 1950; they had become Local 369. 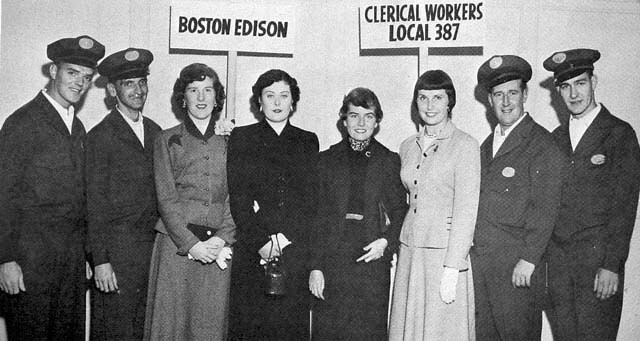 The Edison clerical forces quickly entered the UWUA, becoming Local 387, as did the professionals, becoming Local 386. To quit at this point with a mere mention of the last two locals would be unconscionable. For regardless of the tripartite local structure now in place, it was in fact only through the united efforts of all the groups that unionism was achieved at Boston Edison. For example, it was mentioned above that the meter readers were excluded from the 1948 election. Had the NLRB decided differently, a victory would have been a near certainty. This strong pro-UWUA group was led by Val Murphy. He, along with Francis Kennedy, Leo Murray, Jim McNichols, Ken Pellegrini, Tom Sullivan, Tim Foley, Harry McDonald and Harland Parsons, never ceased the union drum beat until all that could, and all that would, became members of the UWUA. Whether it took one local, two locals, or three locals, the job would be done, and it was. This time we will skip over the usual rise and fall of the company-inspired union, and go directly to the point where the employees elect a real representative. We will do this mainly to present an uncluttered look at one of the ways our large local unions gain in size and thus multiply their representational strength to better serve their membership. 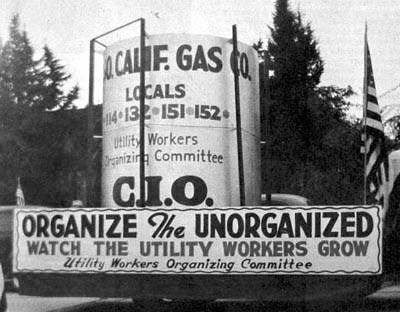 Local 132 is just such an example, having been first organized by the UWOC in 1940 and having signed their first contract with Southern California Gas Company a year later. However, they were not long to remain the exclusive bargaining agent on the gas company properties. Throughout the 1940’s and 1950’s other UWUA chartered local unions were established. There was Local 114 in Van Nuys, Local 150 from Compton, Local 168 in Glendale, Local 170 in Bakersfield, Local 193 in Taft, Local 243 in San Bernardino, Local 279 in Avenal, and Local 290 at Visalia. A total of nine local unions, each representing a portion of the Southern California Gas work force. In 1956, John Krevtz, president of Local 132 then representing the gas company employees in the Central Division of Los Angeles, broached the subject of merger with the other local unions. After long and thorough discussions, it became clear that better representation could be accomplished by consolidating their efforts and thus by 1962, all except Locals 243 and 170 became united under the Local 132 banner. With this united strength they could afford full-time representation, and they elected Harold Trusler as president and Ed Hall as secretary-treasurer to serve as full-time officers. In 1973, San Bernardino Local 243 merged with Local 132, leaving only one of the original nine locals (Local 170) yet separate. Since that time, Local 522 representing sales and marketing employees, and Local 483 representing transmission employees, have been chartered by UWUA as affiliates. Currently, the approximately 3,500 unionized employees of Southern California Gas are in the main members of Local 132, although a portion continue as members of Local 170, Local 522, or Local 483. In any event, the locals combine their efforts and negotiate jointly with the company, arriving at settlements voted upon by the full union workforce and applicable to all. It didn’t take long to tire of this nonsense and the employees began to flirt with the IBEW. They went so far as to schedule an election, but the IBEW pulled out under suspicious circumstances on the day of the vote. Undaunted, the employees insisted on organizing and they brought in the “Utility Workers Organizing Committee.” It wasn’t but a short while later that they were set to petition for another election. After thinking a while, the hotshots in management came up with their next brilliant scheme to outwit and finesse the union. They insisted that the clerical and sales employees be included in the representational election; the thought being to water down the vote, and sink the unionizing effort. The election was held, and by a close vote the red-faced and egg-encrusted management discovered that the union won them all. With a tip of the hat for the unintentional assist, the union now spoke not only for the production and maintenance employees but for the clerical and sales forces as well. On June 17, 1941, Local 175 became a UWOC chartered union. Although it’s not recorded, it’s a safe bet that the company, after booting the election, pouted through their first negotiations with the union. Pouted to the point that seven issues were left unresolved. Being the war years, the government had established the “War Labor Board” to resolve such disputes. Petitioning the Board, the union obtained their demands in five of the seven issues. Namely, wages, back pay, overtime distribution, vacation entitlements, and sick time. With this, Local 175 became the recognized union at Dayton Power and Light, and possessor of the first signed contract. It was some time after the signing of the contract that both parties agreed that the sales representatives were difficult to represent, and this group was returned to their original unorganized status. Since then, Local 175 has represented both clerical workers and the production and maintenance workers at Dayton Power and Light. If anyone thought that the Detroit Edison Company would try to start a company union and call it an “association” or a “council,” as others had, they would have been wrong. Such pedestrian tactics were hardly Detroit Edison’s style. The company would never sink to a level so mundane. Oh, they started a company union all right, but they called theirs a “club.” The “Customers Service Division Club” (CSD) to be exact. Now what could be more classy and comforting than belonging to the “club”? One suspects the CSD Club could have just as easily been called the “LSD Club.” For the effect was to keep the “clubbies” tranquil and happily believing in a world that didn’t exist. When this didn’t work they switched to the more conventional approach. You guessed it: The Detroit Edison Employees Association (DEEA). They went so far as to draw up a set of bylaws and try to get board certification. Surprisingly, in 1945 they actually got NLRB certification as representatives for employees in the Customer Accounts Department. But this lasted only a short time; in fact, it wasn’t long before the whole mess, the Club, the Association, and another try called the “Substation Workers Council” went down the drain. Real unionists were not asleep during this period, however, and a group of employees working with the Utility Workers Organizing Council put together a local union chartered and affiliated by and with the UWOC in 1943. The union was Local 223, then in its infancy and representing a few power plants and departments with working negotiated contracts. They did not come by these contracts easily. In several instances, they had to carry the battle to the War Labor Board to win their terms. In any case, these contracts reflected for the first time guarantees of better working conditions. Clauses were added that provided for time and one-half on the sixth day, and double time on the seventh day. Minimum pay callout provisions were inaugurated, as was premium pay rights after 12-hour stints of duty. Issues of vacations and sick pay were addressed and adjudicated, as were the beginnings of other provisions that now form some of the basics of the current agreement. These contracts and the representation they provided began to convince other groups of workers in the company that Local 223 was the way to go. This acquisition of group after group of workers is an interesting facet of the Local 223 operation. Although it is not unusual for a local union to pick up members in a piece-meal fashion with independent certifications, this local’s history shows this technique clearly. It began with the electrical system substation’s certification in February of 1943, followed almost immediately by certifying the Conners Creek Power Plant and the Trenton Channel Plant. Underground lines joined the union in June of 1943 and within days the Construction groups, both Field and Shop, entered the fold. The certification of Building and Properties, Marysville Power Plant, along with the Food Service people at this location, the Delray Power Plant and Motor Transportation completed the 1943 organizing efforts. The Detroit-area Meter Readers joined up in 1944, as did the Central Heating group in 1946. Also in 1946, the Food Service groups at both Conners Creek and Delray Power Plant came on board, with the Food Service employees at the Trenton Channel Plant several years later in 1952. In 1953, it was the Stores Department’s turn. In 1957, the Food Service employees at both the St. Clair and River Rouge Power Plants preceded other employees in those locations into the union. It wasn’t until 1960 that the entire St. Clair Power Plant and the River Rouge Plant workforces became organized. Employees at the Pennsalt Power Plant became members in 1964. A few years went by and then Meter Service, the Harbor Beach Power Plant and the Greenwood Plant all joined in 1968. In 1969, the Maintenance Amendment was signed and, in 1971, Monroe Power Plant entered the union, with Food Services following in 1976. Employees at Enrico Fermi I and II, as well as those in General Offices and Services Building Restaurant Division, joined up in 1972. The Meter Readers in Oakland County affiliated in 1979, and in 1982, completing the list, the Food Service workers at Fermi I and II became members of Local 223. In all, 23 separately certified bargaining units all doing business through the central offices of Local 223. To put together a lengthy organizing history such as this requires a continuing display of strong representation, good contracts, and able leadership. Apparently Local 223 has all three. As you can see from the foregoing samples, our local unions did not follow a specific and duplicating pattern of evolvement. Each was born and grew in a different and interesting way. Left to themselves, they may have floundered and fallen. It was the intention of the UWOC leaders to prevent this from happening. Non-affiliate organizations were snipping and biting, trying to tear away a piece at a time from the UWOC fabric. Even some of the local unions themselves, concerned as they were with their immediate and separate problems, did not perceive the benefits that could be reaped from a coalition of forces pointed at the same goals. Suffice to say, there was some diversity of purpose and a real possibility that this fragile network would collapse. Now was the time to cement the gains, to raise a flag for all to rally about, to coalesce into a whole, and set about laying the foundations upon which would be erected a free-standing and long-enduring organization espousing the principles of unionism and having the strength to reach its goals. This was the next step and this takes us to Pittsburgh, Pennsylvania (the birthplace of the CIO). The place is the ballroom of the Roosevelt Hotel. The time is the morning of October 31, 1942. I have always had the opinion that our people wanted their own National Union, affiliated only with the C.I.O. If I am wrong, now is the time to say so. The establishment of the Utility Workers Committee in 1938 was the first step toward the setting up of a National Union. 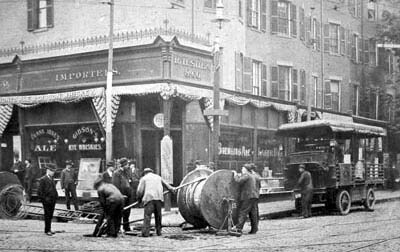 This Constitutional Conference is the second step in that direction and should result in the complete solidification of our forces to the extent that we will leave the City of Pittsburgh determined to work together, shoulder to shoulder, for the common good of all utility workers of the nation and toward the setting up of our own National Utility Workers Union. As was well-stated, this was the major aim of the delegates who attended this First Convention. An aim that was true as subsequent events have proven. For those who are interested, let us list the local unions then in the UWOC along with the companies under contract as they appeared in official minutes, and follow this with a list of the delegates that were present. Local 102, Springdale, PA, with West Penn Power Co.
Local 116, Newcomerstown, OH, with Ohio Power Co. Serv. Div. Local 118, Youngstown, OH, with Ohio Edison Co.
Local 122, Morgantown, WV, with Morgantown Water Co.
Local 127, Casper, WY, with Mountain State Power Co., Wyo. Div. Local 138, Philo, OH, with Ohio Power Co.
Local 146, Danville, IL, with Interstate Water Co.
Local 156, New Kensington, PA, with West Penn Power Co.
Local 161, Kittanning, PA, with Kittanning Telephone Co.
Local 162, Fairmont, WV, with Monongahela West Penn Public Serv. Co.
Local 164, Greensburg, PA, with Westmoreland Water Co.
Local 171, New Castle, PA, with City of New Castle Water Co.
Local 174, Pittsburgh, PA, with So. Pittsburgh Water Co.
Local 176, Huntington, WV, with Huntington Water Corp.
Local 180, Altoona, PA, with Pennsylvania Edison Co.
Local 191, E. Pittsburgh, PA, with Penn Water Co.
Local 198, Elizabeth, PA, with Monongahela Valley Water Co.
Local 205, Bakersfield, CA, with California Water Serv. Co.
Local 220, New Kensington, PA, with Kensington Water Co.
Local 221, Vandergrift, PA, with Vandergrift Water Co.
Local 230, Butler, PA, with Butler Water Co.
Local 249, Paterson, NJ, with Public Serv. Elec. & Gas Co.
Local 166, Brookville, PA, with Pittsburgh & Shawnut RR Co.
Local 213, Jersey City, NJ, with Hudson & Manhattan RR Co.
Local 1420, Los Angeles, CA, with Pacific Elec. Railway Co.
Local 122 – Morgantown, WV – Morgantown Water Co.
Local 164 – Greensburg, PA – Westmoreland Water Co.
Local 174 – Pittsburgh, PA – So. Pittsburgh Water Co.
Local 171 – New Castle, PA – City of New Castle Water Co.
Local 178 – Connellsville, PA – Trotter Water Co., Connellsville Water Co.
Local 191 – E. Pittsburgh, PA – Pennsylvania Water Co.
Local 211 – Verona, PA – Suburban Water Co.
Local 220 – Kensington, PA – Kensington Water Co.
Local 221 – Vandergrift, PA – Vandergrift Water Co.
Local 230 – Butler, PA – Butler Water Co.
Local 162 – Fairmont, WV – Monongahela West Penn Public Serv. Co.
Local 179 – Fairmont, WV – Monongahela West Penn Public Serv. Co.
Local 198 – Elizabeth, PA – Monongahela Valley Water Co.
Local 159 – Power, WV – Beech Bottom Power Co.
Local 180 – Altoona, PA – Penn Edison Co.
Local 103 – Muskegon, MI – Consumers Power Co.
Local 104 – Saginaw, MI – Consumers Power Co.
Local 105 – Pontiac, MI – Consumers Power Co.
Local 106 – Battle Creek, MI – Consumers Power Co.
Local 107 – Grand Rapids, MI – Consumers Power Co.
Local 119 – Flint, MI – Consumers Power Co.
Local 123 – Lansing, MI – Consumers Power Co.
Local 124 – Manistee, MI – Consumers Power Co.
Local 129 – Alma, MI – Consumers Power Co.
Local 144 – Bay City, MI – Consumers Power Co.
Local 150 – Kalamazoo, MI – Consumers Power Co.
Local 154 – Cadillac, MI – Consumers Power Co.
Local 253 – Owosso, MI – Consumers Power Co.
Local 254 – Mt. Clemens, MI – Consumers Power Co.
Local 258 – Adrian, MI – Consumers Power Co.
Local 261 – Six Lakes, MI – Consumers Power Co.
Local 132 – Los Angeles, CA – Central Div. Local 114 – Van Nuys, CA – Van Nuys Div. Local 151 – Los Angeles, CA – Central Div. Local 152 – Compton, CA – Southern Div. Local 168 – Glendale, CA – Northern Div. Local 193 – Taft, CA – Taft area of Kern Div. Local 243 – Riverside, CA – Eastern Div. Local 250 – Los Angeles, CA – Santa Monica Div. Atchinson Topeka & Santa Fe Railroad Co.
Baltimore & Ohio Railroad Co.
Boston & Maine Railroad Co.
Chicago Great Western Railroad Co.
Chicago & Northwestern Railroad Co.
Chicago, Rock Island & Pacific Railway Co.
Delaware, Lackawanna & Western Railroad Co.
Detroit Shore Line Railroad Co.
Detroit, Toledo & Ironton Railroad Co.
Elgin, Joliet & Eastern Railroad Co.
Hudson & Manhattan Railroad Co.
Lake Erie & Eastern Railroad Co.
New York, New Haven & Hartford Railroad Co.
Pittsburgh, Shawnut & Northern Railroad Co.
Texas & Pacific Railroad Co. These delegates hunkered down for two days in morning, afternoon, and evening sessions, and hammered out the rules and selected leaders that would assure an orderly transition to the final step of organization. It should be understood that the delegates knew that they were not fashioning an ultimate entity, but were instead tightening the stays and fine-tuning the rigging for the final leg of a journey, that had as its terminus, the long awaited result, a fully-operational, free standing, chartered National Union, having a stature and strength equal to the task of bringing solid representation to its membership. Throughout the proceeding there were arguments and debates, but differences were resolved with surprisingly little rancor. With the completion of this final piece of business, the first and last Constitutional Convention of the “Utility Workers Organizing Committee” was adjourned. The next time they were to meet, in April 1946, they would be known as the Utility Workers Union of America, CIO. But, much took place between these meetings. 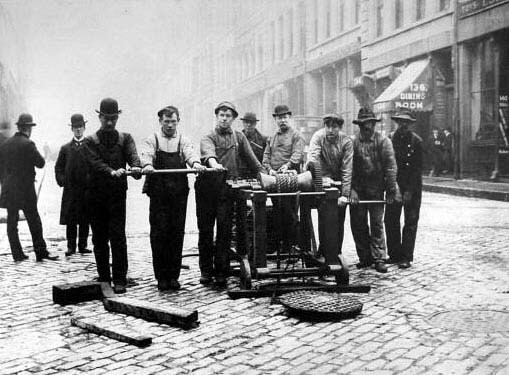 In the intervening period, the UWOC saw an opportunity to greatly enhance the strength of this about to be created national union by the addition of a large block of members from the new, vibrant, and progressive Brotherhood of Consolidated Edison Employees, and to this end, they entered into serious discussions with the leaders of this group. Needless to say, much was to be gained in strength and representational ability by both the Brotherhood and the UWOC. Ultimately, they fashioned an alliance with a strength greater than the sum of its parts; a new national organization composed of all the local unions affiliated with the Utility Workers Organizing Committee and the Brotherhood of Consolidated Edison Employees. This they christened the “Utility Workers Union of America, CIO” and chartered this organization on August 1, 1945. That’s the date the Utility Workers Union of America became a national organization. 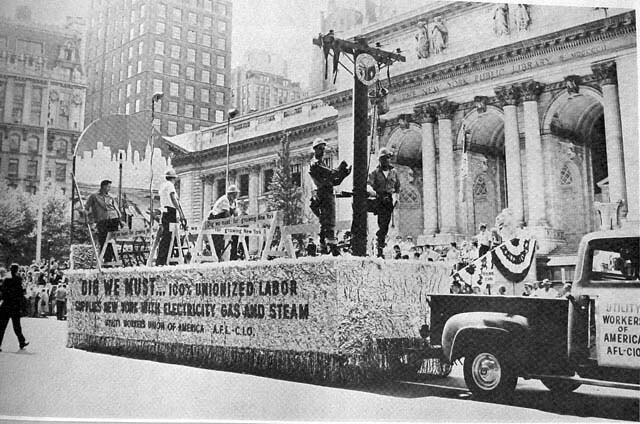 To preserve and cement this new organization together until a constitutional convention could be held, Philip Murray, president of the CIO, met with representatives of both the Utility Workers Organizing Committee and the Consolidated Edison Employees and designated temporary officers to serve in the interim period. He selected Joseph Fisher from the Brotherhood to serve as temporary president; William Pachler, also from the Brotherhood, as temporary secretary. From the UWOC, he picked Harold Straub and William Munger to serve as vice presidents until a convention could be held. April is not a month in which one packs a lunch and looks forward to a day at the beach. Certainly, not a northeastern beach touched by the Atlantic Ocean. A stroll on the boardwalk in Atlantic City at this time of year is an invigorating experience. This was especially true in 1946, with no casinos to duck into if one became chilled. Yet, in spite of this, there were a goodly number of people taking the air on the sixth and seventh days of April. If the curious were puzzled by this unseasonable influx of pedestrian traffic, they need have looked no further than the events listing in the lobby of the Breakers Hotel to discover the reason. The first Constitutional Convention of the “Utility Workers Union of America, CIO” was in session, and a flood of delegates were in town to do the business of this newly created National Union. So here they were and ready to go! Here were the people who were about to affect the lives of many who would succeed them. There was a hint of promise and anticipation, an excitement that each of them felt, for they were gathered together to launch a new national union. A union not only new in origin but new in concept. A Utility Workers Union. A union designed to address the concerns of a group of workers who until now had no national focus. There were organized garment workers, steel workers, rubber workers, and batters and dyers and packers, as well as numerous others. But until now no one spoke for utility workers. If all went well, that would soon be changed. The convention opened at 10:30 a.m. on April 6 and almost at the beginning Joseph Fisher, president pro-tem, deviated from the printed agenda to introduce Allan Haywood, organizing director and vice president of the CIO. It was rightfully done, for here was a man who had so much to do with bringing about the creation of the UWUA. Haywood conceptualized and brought into being the “Utility Workers Organizing Committee,” the seed of the UWUA. He chaired the committee, selected the staff, and directed the operation. And he was here today to see the concept into a reality. Brother Haywood: President Fisher, Associate Officers, Reverend Father Carey and members of my union, the UTILITY WORKERS UNION OF AMERICA. This is a red letter day, this day, April 6, 1946. In years to come, everyone here will refer back in some manner to this day at this Convention. You are making history. To Father Carey, it was a day of joy. I want to assure him that I share with him that joy. I have looked forward to the day when the utility workers of our nation would form their own national union. Here is the day, a dream come true. The eyes of the country are upon you. The flavor of the convention was probably captured in this portion of Haywood’s remarks and the message sent by Philip Murray. With these thoughts on their minds, the delegates commenced the business of the convention. Committees do much of the hard work of conventions, but no committee worked harder and longer than did the Constitution Committee at this convention. For you see, there were two major pieces of business to be conducted these two days. The first was the election of the national officers who were to see to it that the first steps of this youthful organization were set upon a productive path, and who would then be further obligated to make certain that each following step was more firmly planted. The second and equally important task was the construction of a constitution – that basic law of the organization that encapsulates the will of the body and declares its purpose, and that establishes the rules that the governed chose to be governed by. It is not a job to be taken lightly. Properly done, it will form a sound basis upon which will be predicated actions occurring far in the future. Although we can say in retrospect that the job was accomplished with only moderate debate and discussion, this was hardly the end the delegates perceived this Saturday morning when the chairman of the Constitution Committee reported out the result of the committee deliberations on Article III of the shaping constitution. Committee Chairman Perry Altman: By a vote of five to one, with one region dissenting, the Committee recommends adoption. Just an inkling of things to come. But to the perceptive delegate, it meant that the convention would soon hit a snag. Just what was contained in Article III that would cause a disruption? Before we examine the contents of Article III, we should reflect again as we did earlier, upon early days of unionism and the world into which this movement was born. As we go about our practice of unionism today, handling grievances, arbitrating disputes, negotiating contracts, we are drawn to the conclusion that unionism is best described as the practice of representation based on a system of legal and quasi-legal restrictions and grants that enables us to render a measure of industrial justice. But unionism was, and still is, much more than that. The deeper meaning of the labor movement was more easily seen at the time of the first UWUA convention. It would be safe to presume that every delegate in attendance had a clearer understanding of this deeper involvement than we do today. After all, they were on the scene when this explosive force erupted. They were witness to the early effects of the impact. They knew of and were not surprised by the bloody battles that swirled around the scenes of its implementation, for they knew the stakes were extremely high. At that first convention, everyone intellectually or intuitively knew they were part of a movement that would completely reshape the American society. We know now that their assessment was correct. Of all the forces of change that have impacted on the American society, few would deny that the effect of the labor movement was one of the most profound. It completely reordered society’s priorities. It created an unbelievable re-distribution of wealth. It created, single-handedly, the middle class in America. In fact, it reshaped the very ethos of the society. Any member accepting membership in the Communist, Fascist, Nazi, or any other subversive political party or organization shall be expelled from the Utility Workers Union of America, and is permanently debarred from holding office in the Utility Workers Union of America, and no members of any Communist, Fascist, Nazi or any other subversive political party or organization shall be permitted to have membership in our Union, unless they withdraw from such Communist, Fascist, Nazi or any other subversive political party or organization and forfeit their membership therein. Representatives, either verbal or written, of any employer or employer’s agent or non-member shall not be considered by the Union in determining whether or not anyone charged with being a member of the aforementioned parties or organizations actually holds such membership. It provoked a motion to delete and the debate was on. It seemed that almost everyone had something to say. The minutes indicate that the debate ran on for many hours. As could be expected, the delegates grappled with the gray areas. No one stood up and avowed membership in the named political parties nor were the beliefs or tenets of such parties espoused. What was debated was the wisdom of exclusion, the ethical right to exclude, and finally, the effect upon the organization caused by the adoption of either position. Delegate: I would like to point out that I have fought for organization in this industry and that I have fought hard for it. I have stood in front of the plants, and wherever I have gone, I have been called a Communist, although I am not a Communist. It has been used against me. It will be used even as I rise here to speak as a delegate. The members who I represent and who I speak for – and rank and file – they know where I stand. I have always made myself clear to these people on these issues. I am for an organization of everybody on the properties, regardless of the color of his skin, his religion, his nationality, as long as he thinks with me that the working class are entitled to a decent living. Delegate: Brother Chairman and Fellow Delegates; I rise to put myself on record very definitely against the motion now proposed, to delete this clause from the Constitution. I would like to go a little bit further, because I am afraid the idea might be being created here this afternoon, that some of the things that have been said by the C.I.O. in the past are true. I say that insofar as the Utility Workers Union of America as it stands today, is concerned, and as far as the old Utility Workers Organizing Committee of the C.I.O. is concerned, they are not and they were not Communist. But, it wasn’t because some people didn’t try to make them that way. People that are talking about the effect that such a clause will have in our Constitution, let me speak to them from experience. I have tried to organize utility workers practically all over the United States of America, and I can tell you of some sad experiences we had. We can beat the I.B.E.W. We can beat District 50 of the United Mine Workers of America. We can beat independent unions. But we couldn’t beat the stigma of Communism that was hung on us by these people, because we didn’t have this kind of a clause in the Constitution of the Utility Workers Organizing Committee. And we didn’t have it, because the very people who are fighting against putting it in there today, are the very ones who fought against it in the past. I think it is time for everybody in this country, and particularly utility workers that are unorganized, to realize that this is an organization that is made up of, by, and for utility workers. It owes no allegiance or obligation to any political party whatsoever, particularly not the Communist party. I, in all sincerity, urge you to vote down this motion. Delegate: When I asked for the floor to speak in favor of this motion, a member seated in front of me called me a Communist immediately. It is very hard to tell who the Communists are. I don’t care who they are, because in this Union, I am primarily interested in fighting the Company. I think the vehemence and the attacks on the officers and the membership should be put on the backs of the light and power industry. I am not a Communist. I am an American. Delegate: The previous speaker would lead us to believe that they needed an awful lot of time to discuss this problem. It would take me about two seconds to give my idea of what I think about it. I think any level-headed American in this room today would just take about the same amount of time – two seconds. When it comes to kicking Communists and Fascists and Nazis and all the rest of them out of this organization, and keeping them out, that takes about two seconds. Delegate: I want to just mention to you that I agree with the first speaker one hundred percent. The C.I.O. and the Utility Workers is not – definitely not – a Communist organization. It never will be probably. It likewise will never be a Socialist or Fascist or anything else. It is an organization of workers binding themselves together for their own protection. Once you start excluding workers, I don’t care what they are, race, creed, color or because of a religious belief, or a political belief, you have already laid the groundwork to split your organization. Delegate: I had the pleasure of serving on the Constitution Committee. I’d like to point out to this delegation that in considering this particular section, we on the Constitutional Committee spent close to six hours on this Section 5 of Article III. We knew when we went into session that we were there to build a strong Utility Union. That is the job we attempted to do. Now in building that strong Union, we know that it is necessary to maintain the strength of this country, the government that governs us at the present time. If there is any element in the country, regardless of what they call themselves, who is attempting to tear down the government of the United States, they are in effect tearing down the life-blood of this Union, because without the right from the Government, we would not be sitting at this Convention today. We have seen too well in the last eight years, where we have had Communism, Fascism and Nazism, where a Union couldn’t function democratically, the way we are doing it here today, and if for no other reason than to perpetrate a Utility Workers Union for the rest of our lives, we should vote against this motion to delete from the Constitution. Today we carry with us evidence of this debate. Some of you may have noticed, and maybe considered archaic, item number one on the back of your union card. If you are curious and your card is in your wallet or purse (and it certainly should be) take it out and give a look. There were five other clauses in the Constitution that were considered controversial, but they were resolved with relative dispatch. The other major business before the convention was the election of officers who would occupy for the first time, executive positions in this new National Union. I move that the Report of the Nominating Committee be accepted. This motion was seconded. The motion to adopt was unanimous. There were no further nominations, and the above named officers became the first of a line of leaders of the Utility Workers Union that extends to this day and we suspect, will extend far beyond. With this selection of the first officers of the UWUA, the convention ended. Maybe we should end this early history at this point also. However, to say the early history of the UWUA ended with the close of the first convention is obviously wrong. The operative word here “early” is an indistinct qualifier. Even those of us who were active and functioning in the 1960’s would likely consider those years the “early days.” In fact, the 1970’s and 1980’s will one day be the early years to many of us. Where then do we stop? The answer of course is “let’s not stop.” However, let’s change our approach. From this point forward, we shall bounce around here and there in an unplanned way, paying little attention to chronology, and look at a few pictures of our people and events not long after our first UWUA Convention. Recalling the history of the Utility Workers Union, or any organization or movement for that matter, one is repeatedly struck by the realization that this history is not simply a recounting of the achievements of its leaders, but is also in reality a history of all its people. It might be said that in an undemocratic society the leaders can call the tune, set the pace, and aim for goals, without or in spite of the peoples’ will. This is not true in a democracy, however. The people have a recurring right to pick and choose who among them will carry the banner. In recounting the past, it is convenient, even necessary, to focus upon those who spoke the words, who pointed the way, and announced the goals. By doing this, we stray dangerously close to ascribing the course of events entirely to the credit of a few. Surely they deserve the accolades bestowed upon them, but the totality of the accomplishments is not theirs alone. In a democracy, the leadership is led as often as it leads. It obeys as often as it commands. It reacts as often as it acts. In sum, the leadership is chosen mostly because of the unique ability to codify the amalgam of thoughts and ideas contributed to the group by all its members and carry forth the composite intentions. We must therefore remember as we scan the preceding pages, noting the pictures of the un-named delegates in repose and as they hurry to and from the convention floor, that it was these people as well as the leaders that created the history of the Utility Workers Union of America.